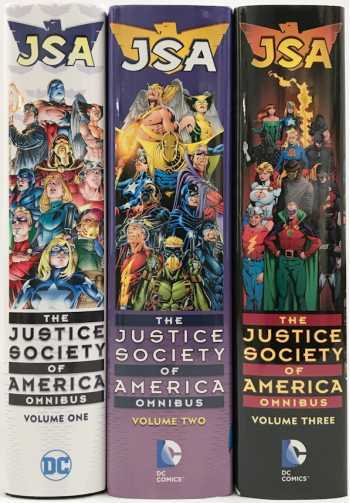 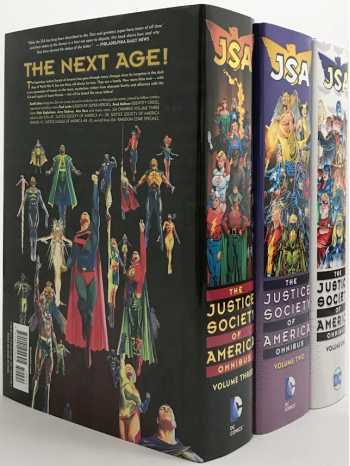 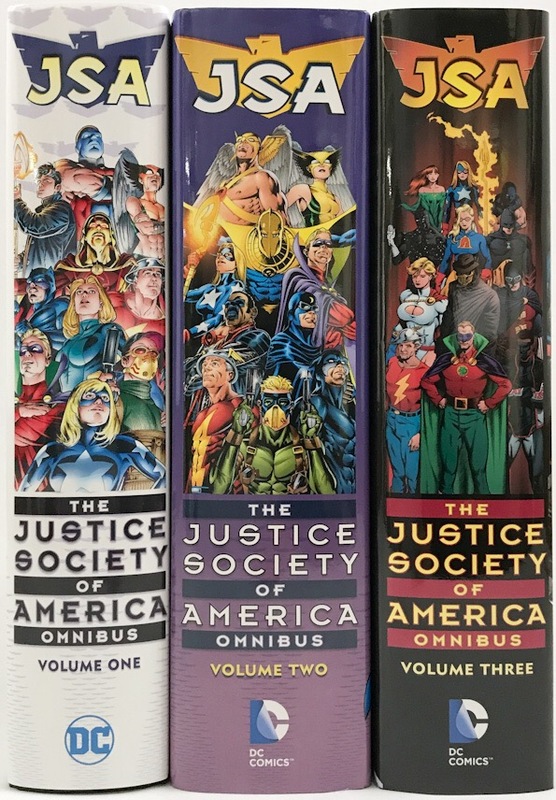 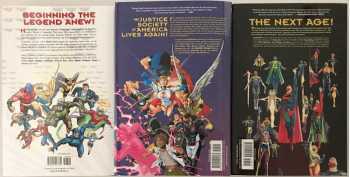 Known for his groundbreaking work on Green Lantern, in 2000 Geoff Johns brought Justice Society of America characters rooted in the Golden Age of comics back to the forefront of comics. Mixing younger, edgier characters with the elder statesmen of superheroes, Johns brought the JSA back to the forefront of the comics in what became the industry's best-selling comic series. 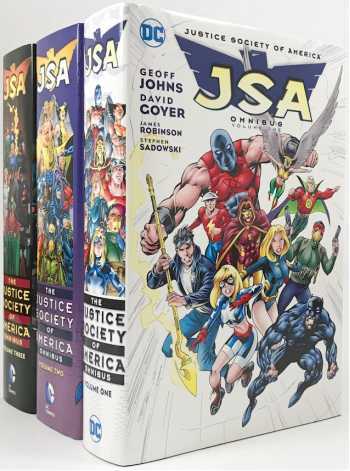 Volume 1 Collects: JSA #1-25, JLA/JSA: Virtue and Vice, JSA All-Stars #1-8, JSA Our Worlds at War #1, JLA/JSA Secret Files #1, JSA Secret Files #1, All-Star Comics #1-2, All-American Comics #1, Adventure Comics #1, National Comics #1, Sensation Comics #1, Smash Comics #1, Star Spangled Comics #1 and Thrilling Comics #1. Volume 2 Collects: JSA #26-75, Hawkman #23-25, JSA Annual #1, and JSA Secret Files and Origins #2. 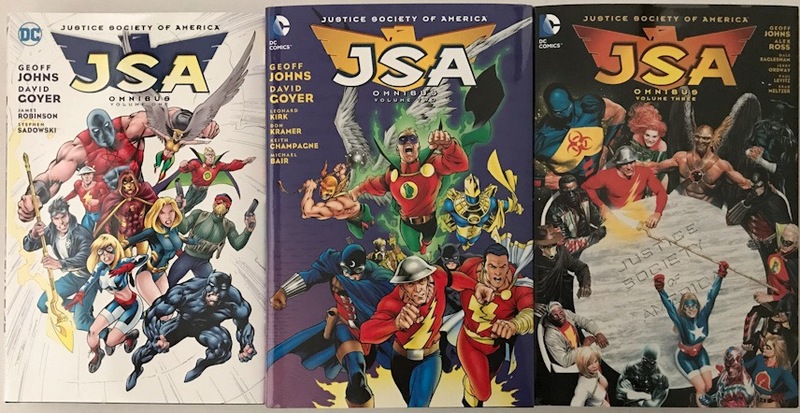 Volume 3 Collects: JSA #76-87, Justice Society of America #1-28, Justice League of America #8-10, Justice Society of America Annual #1, JSA Kingdom Come Special:Superman #1, JSA Kingdom Come Special: Magog #1, JSA Kingdom Come Special: The Kingdom #1. 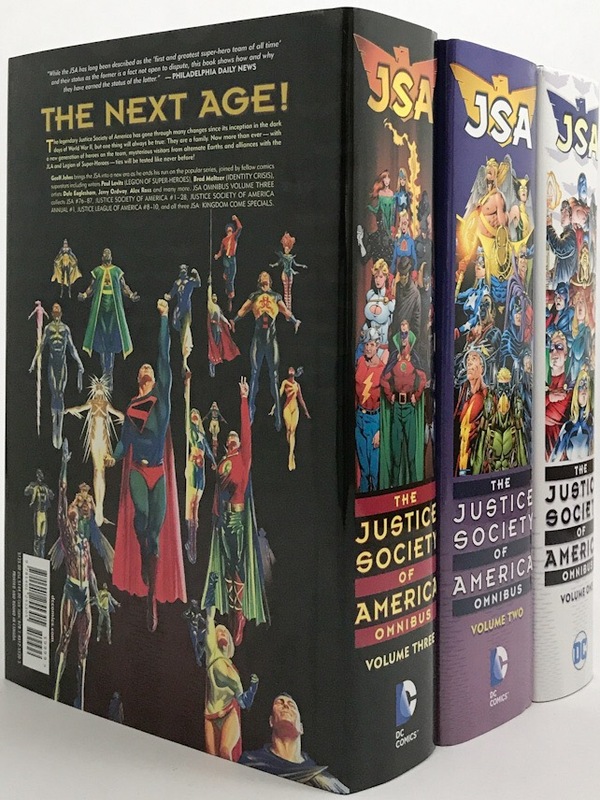 Geoff Johns, David Goyer, Carlos Pacheco, Don Kramer, Rags Morales, Alex Ross, George Perez, Drew Geraci, others.